Tampa, Clearwater – Create a sea of memories dancing under the stars aboard the Yacht Starship! 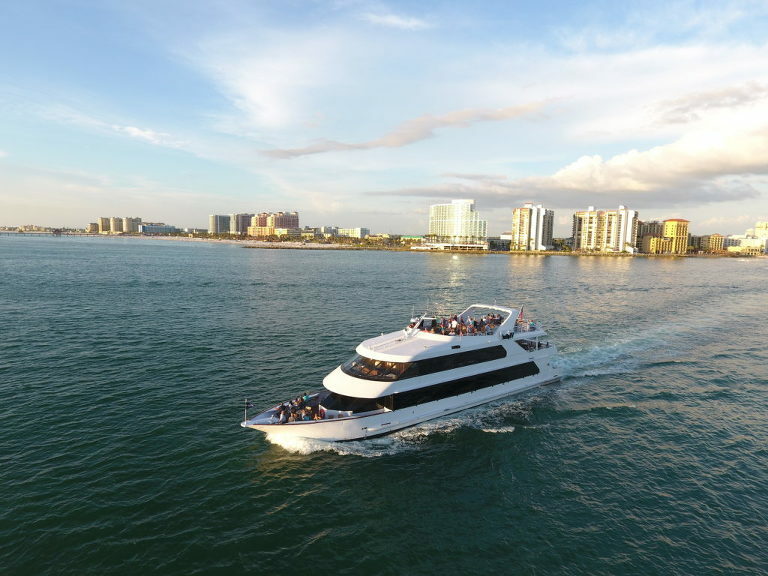 With four breathtaking yachts in their Fleet, your dream Tampa Bay wedding, reception and rehearsal dinner can come true on the water. With the luxury of reserving your private dining room OR your Private Yacht, your guests are sure to be wowed by this venue with an ever-changing backdrop! Yacht Starship can relocate to St Pete, Sarasota, Tarpon Springs and surrounding areas! 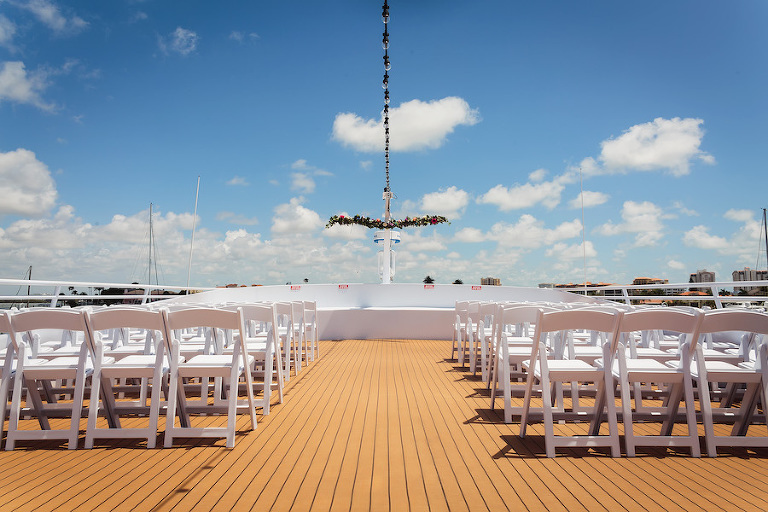 Dockside or Underway: The Ceremony is included in the package, or the option of an extended reception time if no ceremony. You can provide your own officiant or the Captain can perform the ceremony for $200 dockside or $400 underway. Included in the packages: Tables, Chairs, White Tablecloths, and Napkins. Some packages include hand passed hors d’oeuvres. Venue Aboard Private Yacht, Ceremony – White Chairs, Microphone, and Music or Extended Reception time if no ceremony, Dinner, DJ, Coordinator, White Table Cloths and Napkins, Coffee and Iced Tea, Champagne Toast, Cake Cutting & Service, Servers, bartenders and all required staffing, 20% Service Charge & marine fees are included, as well! Most events are 4-5 hours. 30 minutes boarding and the rest cruising. Savings Tip: 2019 Summer Specials are now available. Book within 30 days and receive a complimentary 3rd Tier appetizer per person. Different packages include different levels of alcohol that the client will pay for. Champagne Toast, Coffee, and Iced Tea are included in all of our packages. I want to learn more about weddings on the Yacht StarShip. We are an Almost All Inclusive venue, Unique, and our team of Outstanding Sales and Event Coordinators! Working at Yacht StarShip as the Wedding Sales Manager is a perfect fit for Lydia Spriggs! 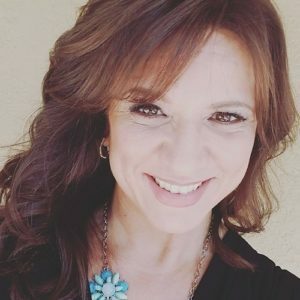 Lydia has been in the wedding and events industry in Tampa Bay for over 20 years and is blessed to have a wonderful life filled with loved ones and friends. Her love of the water makes her feel right at home at Yacht StarShip. Lydia loves helping couples confirm an amazing and unique wedding experience and is confident in her team to make it all happen! When she’s not selling the dream, she loves the Florida Lifestyle and enjoys staying active with her family and friends. Email Lydia Spriggs or call 813-559-1803.